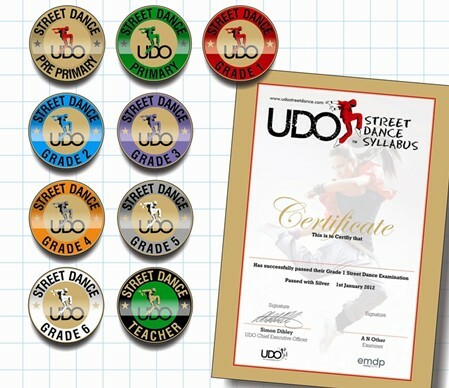 The UDO Street Dance Syllabus introduces the techniques and foundations in all styles of street dance, allowing dancers from the age of 3 to learn a comprehensive range of skills as they work their way through the grades and sit examinations. 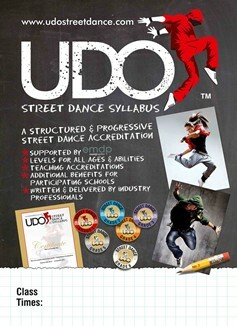 Teachers purchase the syllabus and are immediately able to put dancers in for examinations up to Grade 2. Teachers would then be required to sit their UDO Teacher examination to put dancers forward for Grade 3 levels and above. All set routines for all grades are taught on DVD. WHAT'S IN THE SYLLABUS PACK?